This article was originally published on Thursday, 11 April 2019 at 22:14 SGT; it has since been updated to include Aspial, Fragrance, China Jinjiang Environment and Singapore Myanmar Investco. Ezion Holdings said on Thursday that it believed it could continue as a going concern after its independent auditor, KPMG, included a statement of material uncertainty over its going concern status. AF Global, a joint venture between Aspial Corp. and Fragrance Group, said on Friday it has completed the sale of all of L.C. (London). China Jinjiang Environment said on Friday that there were “material variances” between its audited and unaudited full-year results as its indirect, wholly owned subsidiary, Hangzhou Kesheng Energy Technology, retrospectively received a lower corporate tax rate. That was due to Hangzhou Kesheng being certified as a National High-Tech Enterprise for the 2018-2020 period by Zhejiang authorities, the company said. China Jinjiang said the change resulted in a 23.9 million yuan (S$4.8 million) decrease in income tax expense, and a corresponding increase in profit. Read more about China Jinjiang Environment. Iconic Singapore chili crab restaurateur JUMBO Group said on Thursday it opened a new JUMBO Seafood outlet at the new Jewel Changi Airport mega-mall, marking its sixth outlet in Singapore and its 17th in Asia. Accordia Golf Trust said on Thursday it had 485,187 players in March, up 8.7 percent on-year, with a utilization rate of 77.6 percent at its 89 golf courses, up 4.6 percentage points on-year. For the full fiscal year ended 31 March, Accordia Golf Trust had 5.72 million players, up 0.5 percent on-year, with a utilization rate of 76.8 percent, the trust said in a filing to SGX on Thursday. Read more about Accordia Golf Trust. 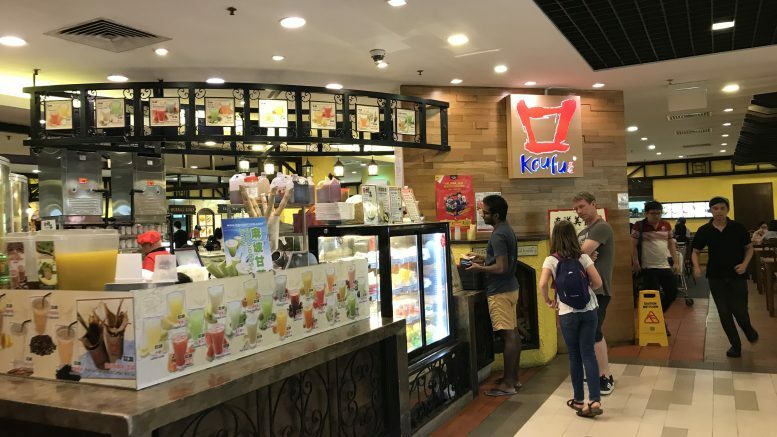 Koufu Group said on Thursday it incorporated a wholly owned subsidiary in Singapore, called Grove (S), with a primary business of cafes and coffee houses. Grove (S) has a paid-up capital of S$100,000, Koufu said in a filing to SGX on Thursday. Read more about Koufu Group. Pawnbroker ValueMax said on Thursday its associated company, SYT Pavilion, earlier this week acquired all of Pajak Gadai Fajar Tebrau, a Malaysia-based pawnbroker, for 3.98 million Malaysian ringgit (S$1.31 million or US$965,429). That compared with Fajar Tebrau’s net asset value of 3.56 million ringgit as of end-November, ValueMax said in a filing to SGX on Thursday. Singapore Myanmar Investco said on Friday that its indirect subsidiary TPR Myanmar entered a deal to sell all of its telecommunications towers and tower leases in Myanmar to Irawaddy Green Towers for around US$8 million, marking a loss. Asiaphos said on Thursday that a subsidiary entered a deal to rent out its STPP Production and Storage facilities to Lianyungang Zexin Food Ingredients for a base rent of 1 million yuan (S$201,630 or US$148,834), with a one-year lease. The base rent is based on output of 10,000 tonnes, with an additional 90 yuan per tonne due for output above 10,000 tonnes, Asiaphos said in a filing to SGX on Thursday. The tenant also agreed to give Asiaphos the right to buy output from the plant on preferential terms based on the lowest selling prices, the filing said.